It's raining and I really need to start on the back of the Elephant Quilt. First, I thought I'd share some quilty inspiration, in case you missed these. Titled: 'Rain' Seattle, WA. Isn't it great. 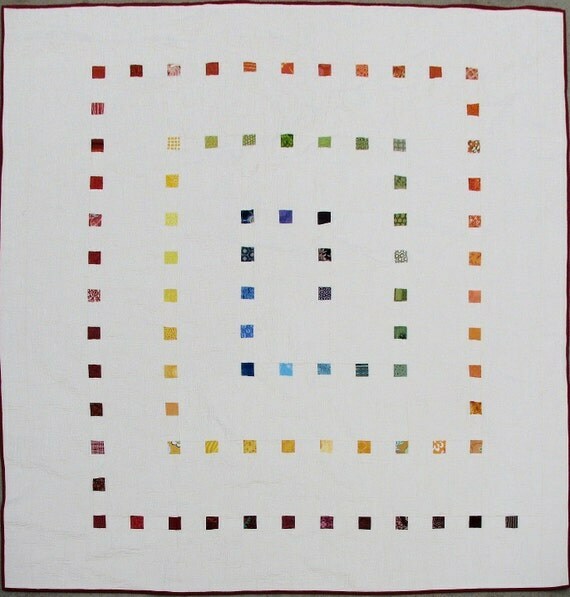 Titled: Kate's Quilt. I love the simplicity and the modern use of solids. Titled: Geometric Rainbow Spiral, it's a PDF pattern for sale in her etsy shop. Now, to work, I go.